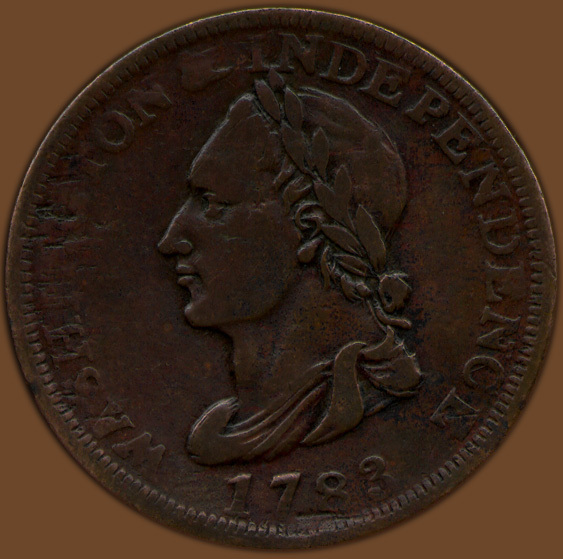 Comments: Listed by Robert Vlack as Vlack 27-W and in Fund as WA.NC.1783.1. The obverse legend is weakly struck on the left side. Filing marks can be seen in the A, S and H with some deeper planchet voids above them and below the date. The reverse is Vlack W which can be distinguished in that the uppermost berries, closest to the open top of the wreath, are on the outside while on reverse X they are on the inside. Also, the top of the letters O and E in ONE touch leaves while on reverse X they are below the leaves. 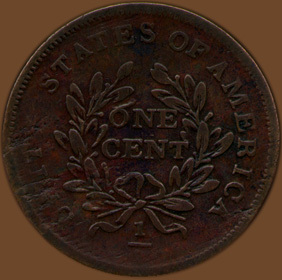 Several file marks can be detected near the rim to the left of the fraction sign with deeper planchet voids above obscuring "UNITY" and another over the final A in AMERICA. As is typical with this issue the legend is weakly struck, on the reverse the bottom portion of the fraction 1/100 is completely missing.